I'd be interested in knowing when a gentleman should wear certain types of shoes. For instance, may a gentleman wear patent/suede cap toe shoes when the event is not formal? May loafers (tassel or non tassel) be worn without socks? Also, what does The Lifestyle Maven think of whimsical socks? Must brown socks always accompany brown shoes? What shades of brown shoes are appropriate with blue slacks and what should the sock color be? So, first of all, I tend to shy away from 'rules', simply because I think there shouldn't be any. Guidelines, yes; rules - not so much. Fashion 'rules' were born in a specific milieu and context and cannot always be exported to other climates and cultures wholesale. But people like like to think in terms of rules, hence the title! This is by no means a complete overview of the issue of socks and shoes, but just a response to a reader's questions. Loafers with or without socks? Personally, I'm not a great fan of whimsical socks. Nothing wrong with them - just not my thing. Having said that, the rule is there are no rules; but I always get leery with the word 'whimsical' since it is open to a myriad interpretations.... As long as you don't wear something outlandish and you stick with the diamond/argyle and other 'mainstream' designs and they match what you're wearing, I daresay you should be fine. 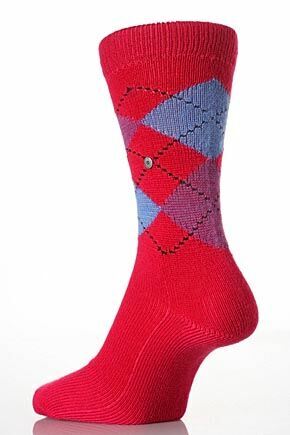 Think of your socks like you would a tie: an accessory to bring your entire outfit together. Just don't wear a Bugs Bunny pair of socks or one with dollar bills on it....Please. The rule of thumb has been to match the color of your socks to the color of your shoes. I personally think it's better to match them to the color of your pants for unity of flow. The color of your shoes should generally be darker than the color of your pants/trousers but the color of your socks should never be darker than your shoes. The color of your socks needn't be identical to that of your shoes - a rough closeness works just fine for formal attire. For casual shoes, please wear white socks. Dark socks and casuals don't go together. Oh - and with sandals, no socks at all; not white, not light or dark - that's just plain wrong! Once upon a time, blue slacks with brown shoes was frowned upon, but not so today. I think the Italians have made blue suits and brown shoes fashionable. Your brown shoes will work withlighter grays, browns, khakis and dark blue. They also work well with jeans. It's difficult to correctly match brown with black, anyway, so you can stay away from that. I happen to think that you could pull off blue with with brown shoes.Just remember to keep your shoes darker that your trousers. If in doubt, stick with black. I hope this helps. Have fun dressing up!